Nowadays, you can’t go online without seeing photos of a tropical oasis or a vast mountain range. Traveling around the world is not only popular, but also achievable. If you play your cards right and plan ahead, you can book a trip to your paradise without breaking your budget. When it comes to sleeping arrangments, I love to use Airbnb. 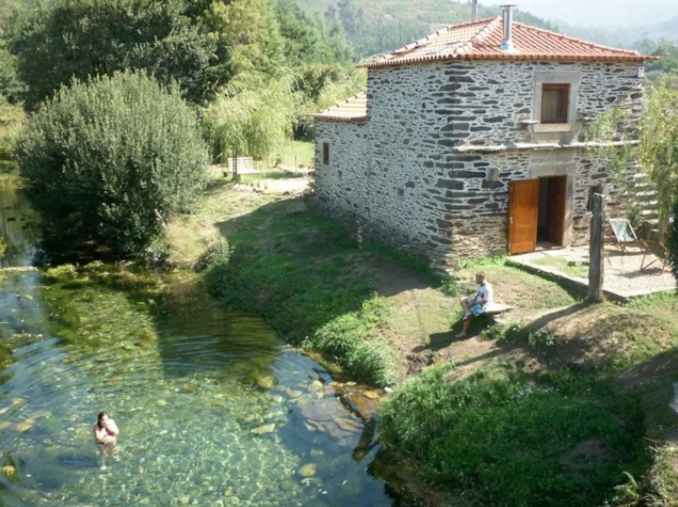 Check out these 4 beautiful Airbnb homes that are under $100 a night and use this link to automatically get up to $40 credit towards your booking! In Armenia, Colombia, this charming cabana sits in front of a bamboo forest which lays across a 5-acre farm. Obviously relaxing and charming from the bamboo built home to the plants surrounding the home, this cabana has been traveled to by 33,847 people. It accommodates 2 and the owner, Yudy, offers lunch or dinner for an additional charge. You can’t beat that for less than $25 dollars per person per night! 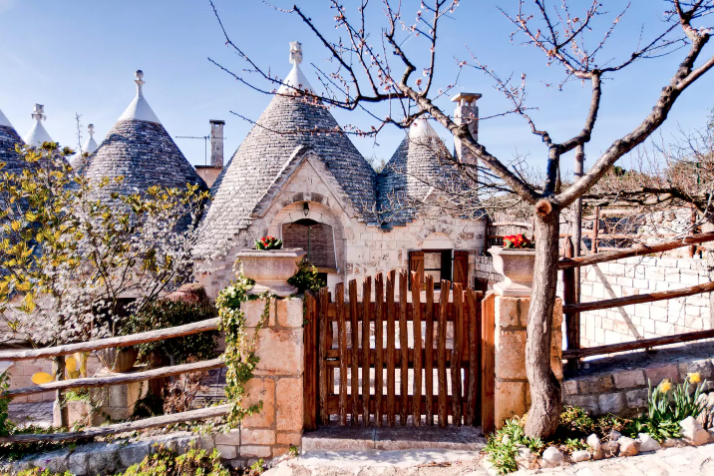 Near caves and excavations, Fredrick’s castle, and museums, this quaint home in Italy is perfect for any nature lover. The description reads, “You can stay under an olive tree reading a good book, you can have a walk in the small country streets or go to the nearest beaches.” The home has beautiful, bright spaces, a tree house for the children and a damn good view. There have been 69,777 travelers to visit this spot in Italy. Although prices may vary after cleanings, towels, and utilities, if you split this home between the 4 people it can sleep, you’re looking at around $17.25 per night per person. 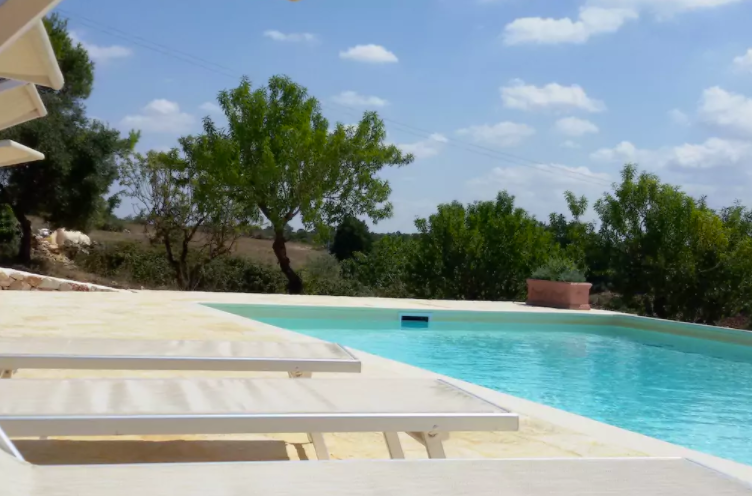 Also in Ostuni, Italy, his castle-like home sits a few steps away from a bicycle rental. It is near markets and the romantic city of Egnanzia. The way that the home was built allows beautiful weather in the summer. It is made of stone and has walls made of curtains to continue on the ancient traditions. 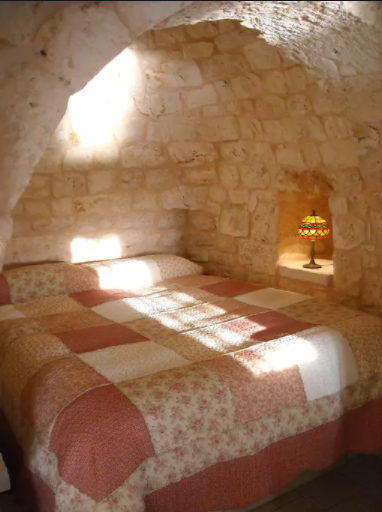 There is a tourist tax, but if you travel with 4 guests, you will be paying less than $20 per night per person for your own little castle in the country! This may be my favorite home on the list! The photo of the natural water pool drew me in. The home is built with old stone, but the interior has a modern, simplistic touch. There are waterfalls and mountains nearby so you may see the best of both worlds while visiting Portugal. There is no Internet or TV so you are encouraged to enjoy the little things the home has to offer and really unwind. If you fill the home up, you’re looking at $18.75 per person per night. Many of the reviews say Casa do Rio was their favorite Airbnb to visit. With 21,848 visitors so far, it looks like that number is only going to increase. Will you join that huge guest list? Remember, when if you book with Airbnb, use THIS link to automatically get up to $40 credit towards your booking! These 4 homes mentioned above are some of the most popular on the wonderful site Airbnb. There are countless affordable and amazing homes to travel to and the options are truly endless! What Airbnb Homes have caught your eye? Where do you think you will be making your next trip to? Comment below and be sure to tag #livethedetour on Instagram for a chance to be featured. We want to hear all about your favorite places to rest your head after a long day of adventures! The gorgeous photos in this post were pulled directly from their Airbnb pages (links above) and were taken by guests/owners, not myself.